Just a quick update regarding one of our most popular videos on YouTube. Currently on 982 views - lets see if we can manage 1000 for Christmas! 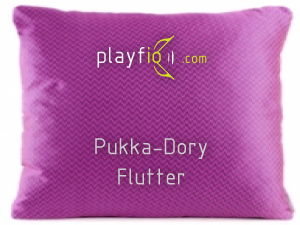 The latest music creation from Playfio is entitled ‘Pukka-Dory Flutter’ make what you will of the name, it doesn’t exactly roll off the tongue but then this one’s more about the music. My thinking was that more people might listen to this if I use a potentially memorable name! Probably won’t work but nothing ventured and all that. This track came about through another compilation with Angela Sharman. She first wrote the original song for a scene in a short film. You can listen to the original here. I have used a number of samples from Angela’s composition, I have veered away into quite a different sound and genre of music but I’m still learning and keen to try new styles of music. For ‘Pukka-Dory Flutter’the mastering side of things has become more of a factor. A recent addition to the music toolbox was a set of studio monitors. The difference in sound compared to the old pc speakers is vast, and now the ability to hear and fine tune all frequencies, clear out white noise, crackles, hiss etc. is awesome! This is the first chill out track that I attempted to write for some time. The track has been half written for a while and has been sat doing nothing on my computer. I definitely knew the track was missing something, but I wasn't quite sure what. The basics were there, but not enough interest, either vocals or something else would need to be added. Recently, I stumbled upon a self taught pianist who was on the lookout for new projects and potential collaborations. I contacted Angela and was pleased to find out she was interested in combining our musical talents on a number of tracks. I do own a keyboard (MPK mini – not sure if a quarter of a keyboard with drum pads constitutes a keyboard!) – Anyways, my piano skills aren't up to much, so this was a perfect opportunity to get some quality piano work on some tracks. We are both happy with the results of this track and are currently working on a second collaboration. ‘Laid-back’ may eventually have vocals added, but I am keen to share this track now. Please enjoy..and put your feet up! I’ve been in the process of developing this track for quite a while now – Ist version nearly all finished although I’m going to try it with some powerful female vocals too at some point to work out which sounds best. I’ve laid down a really strong bass line which helps bind this track together and give it a kind of funky swagger. ‘This Time’ is a much more upbeat track than much of my previous offerings, a good use of an off-beat rhythm and catchy lyrics. My plan was to make a positive summer tune – hope it gives you that kind of vibe. Starts with some old quotes from Winston Churchill, including him saying “this is a time for everyone to stand together, and hold firm”. Making reference, to the nation holding strong during the 2nd World War. I have taken a number of different videos from a variety of different sources. Appreciated acknowledgements, please refer to YouTube additional information. 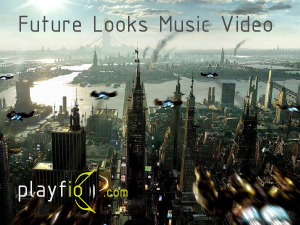 This song is about the rapid transformation of technology and the unpredictable and unforeseeable future. These days are extremely hard to predict what kind of world we may be living in even 10 years time. I realised this song in April 2012 and this track is called 'Future Looks' it took quite a few months to finish. For the video I wanted a really futuristic looking one, so for the past weeks/ months I have been collecting decent futuristic clips when I've come across them. Many of the clips I have used are from big budget Hollywood futuristic films but I have also used footage from elsewhere. A big thank you to all the footage I used and I will now list the links below where I found this info. Some of the videos are incredible and created by extremely talented individuals that deserve praise for their work. 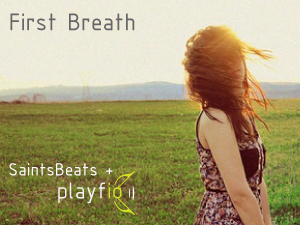 This track is called ‘First Breath’ and is collaboration between Chris of SaintsBeats and myself. I’ve worked with Chris before on a Coldplay cover – ‘The Scientist’, but this is the first originally written track that we have both worked on. I heard Chris’s original track and instantly liked it, so went about adding some vocals and guitar riffs. Had a few different takes on it but we’ve both settled on this latest version – hope you enjoy it. So I’ll finally wrap this up with thanks going out to Chris and Erin who made this track possible. Hope you enjoy this new track and please share this amongst your friends. Leave you with the lyrics. is linking words of daily plight. This music video features graffiti from all over Sheffield. Some of the graffiti artists featured in this video are Phlegm and Kid Acne who are both based in Sheffield. 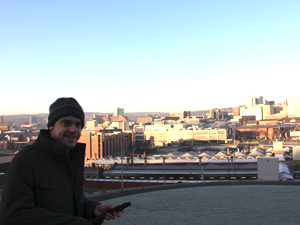 The majority of the videos featured are located in the old Jacobs Manufacturing factory near the big Tesco on Abbeydale Rd. 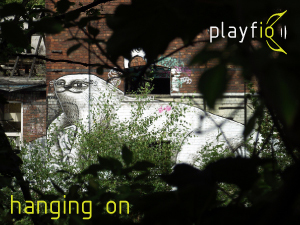 This old run down building is really worth a look around and popular with graffiti artists and skaters in Sheffield. I’d make sure you’re wearing some sturdy boots and probably take a mate – quite creepy round there. Went on my own and got quite a shock with some guy hanging round in the shadows! Turned out to be a nice chap just scoping the place for scrap metal, he even gave me a guided tour! After doing bit more googling for Phlegm and Kid Acne graffiti came across this site which has some more pretty impressive work in the old Hotel - Sheffield Hallam Towers - now derelict. 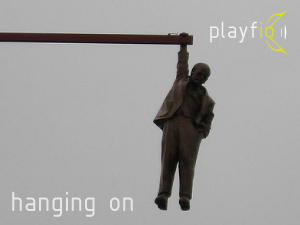 This music video is called ‘Hanging On’ by Playfio- Enjoy..
Here’s another one that’s been in the making for a while, kept coming back to it over the course of several months. Finally finished it and really happy with the final outcome. Quite a slow and dark feel to this one, I think the guitar riffs really give it life. I’ve used a sound clip from Withnail and I, which helps add to the atmosphere of this one. Once again I’ve been using Reason to put this together with a bit of work done in Cubase. I’d welcome any comments, I’m considering adding some vocals too, but this is the first version. Some slow rhythmic rapping could work too, if you’re interested please drop us a line. Umm this one’s a bit different from the rest – don’t think this will be winning any music awards.. 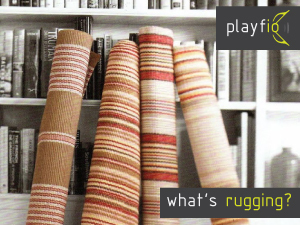 This latest track ‘What’s Rugging?’ can definitely not be taken too seriously! Just a bit of fun. I had some footage left from after a trip to a Whiskey Distillery and the subsequent bottle of whiskey. Somehow the conversation got round to rugging and what it is? To be honest I’m still none the wiser – few vague descriptions on the web, but nothing to conclusive – I’ll let you make your own mind up on this one. If you’re just listening to this song on Sound Cloud – make sure you watch the video – only real reason the song was ever pulled together. Cameo sound clips from some of the following: Alan Hanson, Ron Burgundy, Jarvis Cocker, Steve Coogan, Sean Connery and many more! Please enjoy and share amongst your friends. Just been getting grips with Sound Cloud since signing up the other week – after hearing one of my tracks – ‘Velvet’ I was approached by Chris from SaintsBeats on Sound Cloud asking if I’d be up for collaboration. I had previously never thought about doing this kind of thing, but now in hindsight it’s the perfect platform to do this kind of thing. Firstly I’d like to thank Chris for suggesting this to me, it’s been ages since I sang a cover ..prob since back in the band at school. If your an artist and are looking for some backing tracks he’s your man! 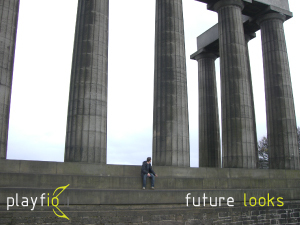 The latest track from Playfio is called Future Looks, and has been in the making for about a couple of months now. Just got it finished off with some lyrics, although not that many lyrics! You'll probably better understand when you’ve heard the song. It’s been quite a productive Easter Monday though. 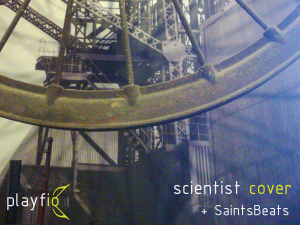 This song is about the rapid transformation of technology and the unpredictable and unforeseeable future. These days are extremely hard to predict what kind of world we may be living in even 10 years time. I was reading the other day about Google's plans for augmented reality spectacles, just one of the many things that would drastically change our future. It's definitely an exciting time to be alive. I hope you enjoy this song, it's full of contrasts, plenty of different instruments, and some great build up’s - quite a bit livelier than my previous song ‘Velvet’. I tried to use and quite complex chord structures within song, which i think work quite well, especially with the use of some powerful orchestra hits. Also the off-beat, repetitive bass line gives the song some real life. For this track, I was using a new home-made pop mask on my microphone (MXL 990 usb)- an old CD case holder and tights! Who needs to spend 20 quid on one from Amazon? The vast majority of this song was written in Reason, and some other techniques are used by recently learnt online. Surprisingly, this track’s speed is 140 beats per minute, although it doesn't quite sound like. At the moment, can’t really think of anything else to say about this song, please do enjoy it and I welcome your comments. 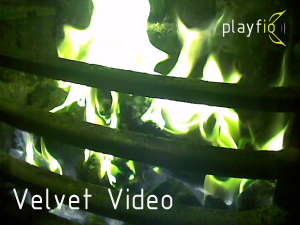 To accompany the latest track ‘Velvet’ that has been uploaded onto the blog and via www.soundcloud/playfio I bring you the video I’ve just completed for this track. Featuring Fire! Got a load of footage back from bonfire night and have yet had a chance to use it for anything till now. 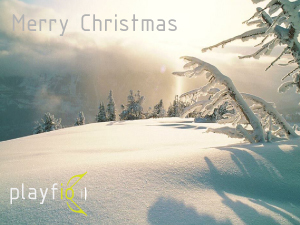 The fading and opacity effects available by using Sony Vegas Pro 10 for the video effect almost create a windswept snow effect on some shots. In time one of my plans for this site is to include tutorials to help all sides of people trying to promote their own music – a big side to this as I’m sure many artists will agree is to get your stuff on You Tube. Your potential audience are more likely to watch a video with your track on rather than just the sound clip. 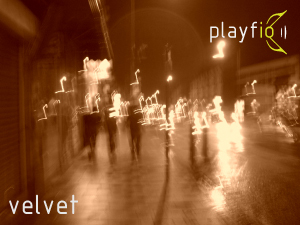 I'm happy to introduce the first song to go online from Playfio. This track is called Velvet and has been in the making for the past couple of months. This started off as an instrumental, the kind of piece that would suit a moody build up on the opening credits for a film. From that point, I left it a couple weeks and came back to it. I then decided to add some guitar riffs, and then after that the lyrics just fell into place. For the recording of the vocals on this track I've used an MXL 990 microphone that I bought at the start of this year from America, for some reason I wasn't able to buy the USB version in the UK. This is one of the first tracks I have released to use this microphone I have to say I'm pretty happy with the sound of it delivers. The music software that used to create this track was a combination of Propellerheads Reason 5 and Cubase. I still haven't got round to say they have enough money to buy reason 6, which does look pretty awesome. For the time being I’ll just have to do my vocals through Cubase. I'm sure anyone of you who are familiar with making their own music via a computer will be aware of this process. I have come across are few problems when trying to re-wire reason to Cubase, but that's for another post. FREE DOWNLOAD BELOW ------------------------------------------------------------------------------just down here! I have also been using an AKAI MPK mini which is a small DAW keyboard , which is very portable and does the trick for me at the moment, although at times, I do wish I had a larger keyboard playing chords and more intricate keyboard work. Finally, a video is to follow, which will accompany the song, which I will then had to my YouTube channel. 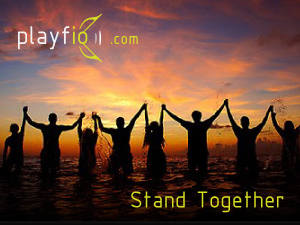 Welcome to the Playfio blog, home of the latest music from Playfio, and much more. I have set up this blog in an attempt to create a base for my musical ideas whether they are my new songs or the promotion of other good new music I like... or any information about live music festivals and tips and tutorials for people making their own music. Music reviews, software, hardware equipment and other new music. Basically, it will include a bit of everything, anything I find of interest, or I think would be of interest to any other music fans out there. This is not intended to just be self promotion blog for Playfio, but to include a good variation of all things music today. Making music has always been an important part of who I am but for about the past 10 years I've had making music on an ever-growing to-do list. Finally, I got round to getting myself sorted and found some time, so now I have a little recording studio in the spare bedroom, and thankfully now making some music. It is my hope that keeping this blog, up-to-date will help aid my productivity and is also a great way to help share my music and hope that other people can appreciate it. These days, I think you can be realistic about music and know that it's extremely difficult to make it big. But the main thing is sharing my music and reaching people in a way only music can.